Serving Bath and Wiltshire for more than 45 years, Avonvale Carpets of Bath brings you a unique combination of excellent choice, in-depth expertise and perfect fitting. Privately owned by Paul Ivory and Jim Ironside, Avonvale Carpets offers you more than 80 years hands-on experience of all kinds of quality flooring, satisfying the needs of domestic and commercial customers. Time spent working in traditional department stores provided Paul and Jim with a solid grounding in the carpet trade, teaching them the prime necessity of absolute integrity and excellent customer service. It’s a vital philosophy that lies at the heart of Avonvale Carpets of Bath. For any carpet purchased from us and fitted by us, we give you our personal guarantee. We won’t let you down. Amy, Kate, and Anna-Louise are now following in their fathers’ footsteps, making Avonvale a second-generation family-run business with a keen eye on the future. To ensure your new carpet is perfect in every way, Avonvale only works with trusted self-employed carpet fitters from the local, Bath and Wiltshire area. Professionally trained and sharing in our high standards, they ensure expert fitting and complete peace of mind. And life-long relationships with quality carpet manufacturers and distributors means you can rest assured that we’re always at the forefront of flooring design and technology. A founding member of Carpet 1st, one of the UK’s leading flooring buying groups, Avonvale Carpets, Bath is also able to offer you carpet ranges at competitive prices direct from the manufacturer. 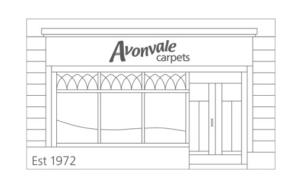 To find out more about Avonvale Carpets just pop into the shop, or call us today on 01225 427 057. A family firm that you can really trust.Excellent service from measuring up to final fitting with the most enthusiastic and helpful fitters.